Despite the myriad of gender diversity initiatives being implemented across many organizations today, equal representation continues to elude even the most well-intentioned businesses. While mentorship and returnship programs, for example, are necessary and beneficial, they alone cannot close the gender gap, especially across the executive level. These kinds of initiatives treat the symptoms of gender inequity rather than the underlying cause. Women aren’t advancing to positions of leadership at the same rate as their male counterparts largely because traditional workplace structures are forcing them out. Data shows that women are still leaving the workforce (or opt-ing down into non-leadership track or “gig” roles) in large numbers during pivotal advancement years when employees gain the critical skills and social capital necessary for promotion. When women attempt to re-enter the workforce after having children, they often find themselves unable to return to their previous titles and salaries. The result? The leadership gap. Today, women account for just 6 percent of Fortune 500 CEOs, despite making up 47 percent of the corporate workforce at entry level. You might be wondering how this is possible in 2017, but here's the reality: A whopping 30 percent of the most talented women are leaving the workforce entirely after having a child, and an unknown number are getting knocked off the leadership track—but there is a solution—and it's flexibility. Of that 30 percent of women who leave, 70 percent say they would have kept working if they had access to flexibility. This amounts to 6.6 million women—enough to add 100 new female Fortune 500 CEOs and accelerate the rate of corporate gender parity. To close the gender gap for good, companies must stop investing solely in policies that assume that leaving the workforce is an inevitability for women—it's not. Instead, employers must focus on retaining and promoting ambitious women so they don't leave in the first place by adapting the structure. The simplest, most cost-effective way to do so is by implementing strategic flexibility policies. At Werk, we’ve productized six different types of flexibility that employers can implement throughout their organization to not only retain women, but help them advance through the leadership pipeline. One flexibility factor that is becoming increasingly more common due to technological innovation is Remote. 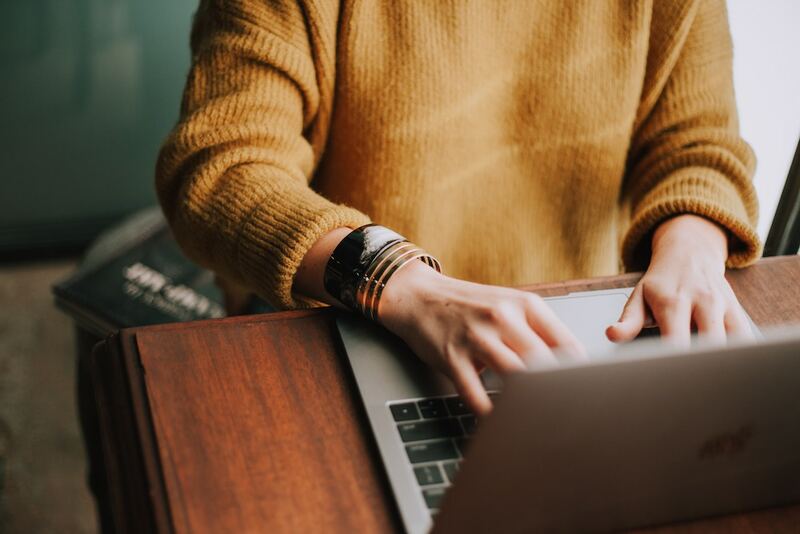 Until recently, remote work was traditionally associated with gig or project-based jobs, but many organizations are beginning to embrace partially-remote agreements for their full-time employees. And some are experimenting with fully-remote offices or teams in which all employees work virtually, relying on video conference, shared drives, team management tools, messaging apps, and other innovative programs and software to facilitate communication and collaboration. Despite how easily remote arrangements can be implemented, some companies remain skeptical due to preconceived ideas and common misconceptions about flexibility. Here are some of the ways offering remote arrangements can actually benefit not just individual employees, but organizations and the economy as well. Employees who are given the autonomy to work flexibly are happier, more productive, and less likely to quit. Businesses that adopt flexibility policies are more likely to retain and advance women, which in turn can help their bottom line—plus, studies estimate that closing the corporate gender gap could boost the U.S. economy by $2.1 trillion. Some types of flexibility, specifically remote, can reduce overhead costs and time spent commuting (which is good for the environment, too). When it comes to the retention and advancement of female employees, remote work can have an even greater impact as women are more likely to relocate for a spouse or significant other, and tend to take on the bulk of caregiving responsibilities within their families. While a shift towards equal division of labor at home is essential to closing the gender gap, the good news is that flexibility can play a role in that as well. Today, rigid workplace structures tend to reinforce traditional gender roles, both at work and at home, but as as flexibility becomes the norm for both male and female employees, we’ll likely see both genders gain—and benefit from—increased work-life compatibility.